The nearest station is Tirano, about 70 km from Livigno. The connections with Milan, Stazione Centrale and Stazione Porta Garibaldi are several every day and almost every train is coinciding with Perego bus lines Tirano-Bormio and Tirano-Livigno. From Switzerland you can get to St. Moritz by train and from there continue by various means for Livigno, also depending on the season: bike, bus or taxi via the Forcola Pass (summer) and the Passo del Gallo, Tunnel Munt La Schera (winter-summer). Coming from central Europe, Livigno is reachable via Passo del Gallo (Tunnel Munt la Schera), open year round, which connects with Switzerland and through the Pass dal Fuorn, and Val Monastero. In summer, the transition between Livigno and Switzerland (St. Moritz and Bernina) is also possible through the Pass Forcola. Coming from Milan, Livigno is reached via Lecco and Bormio, along Valtellina through the Passo del Foscagno, where frequent snowfall in almost all seasons require to have snow chains on board at least from October to May. The nearest airports are Milan and Bergamo, in Italy; Zurich in Switzerland, and Innsbruck in Austria. Milan offers connections to shuttles between the airports of Malpensa and Linate to Stazione Centrale, from where many trains depart daily for Valtellina. From Zurich to St. Moritz by train, and continue to Livigno by bus or taxi. From Innsbruck to Merano by train, and continue to Livigno by taxi. By Bus: During high season the local bus services provide a direct connection Milan-Bormio. 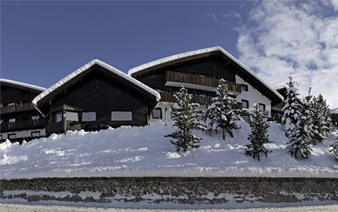 and Bormio-Livigno is available all year by buses. By Taxi: There are also several means: Car 4/5/6 seats to 50 seats buses and helicopters. By Bike: Besides the normal roads, Livigno is reachable through numerous cycle paths.